please email comics.medicine.2014@gmail.com to discuss sponsorship opportunities. The Johns Hopkins University School of Medicine Dept. of Art as Applied to Medicine is a leader in the field of visual communication for science and health care. Built on a strong foundation of scientific knowledge, artistic technique, and clear visual communication, the Dept. has maintained the highest standards while embracing new medical, scientific, and communication technologies. 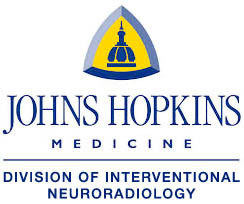 The mission of Johns Hopkins Interventional Neuroradiology is to offer the best minimally invasive treatment and diagnostic imaging for a wide range of conditions involving the brain, the head & neck region, and the spine & spinal cord. Since its founding in 1916, the Bloomberg School has advanced research, education and practice to create solutions to public health problems around the world. Every day, the Bloomberg School works to keep millions around the world safe from illness and injury by pioneering new research, deploying knowledge in the field and educating tomorrow’s public health leaders. Founded in 1982, Diamond Comic Distributors resides at the Nexus of Comics and Pop-Culture with a multi-channel platform of publishing, marketing and fulfillment services, coupled with an unparalleled global distribution network for its retailers, publishers and vendors. Our mission is simple: to provide our wholesale customers the best in products, price, and personalized service. That’s why we bring our customers the merchandise they want at a fair price and deliver it to them quickly, accurately and reliably. The Vesalius Trust for Visual Communication in the Health Sciences was incorporated as a non-profit public foundation in 1988. The Trust strives to develop and support education and research programs in the field of health science communications. The mission of the Trust is to provide leadership for the advancement of education and research in visual communication for the health sciences. The Johns Hopkins Medical Institutions Office of Cultural Affairs (OCA) presents cultural events for the JHMI community. Since its creation in 1977, the OCA has expanded its programs to welcome the audience of the greater Baltimore community to share our cultural resources. The OCA’s ties with the Johns Hopkins University School of Arts and Sciences and the Peabody Institute provide welcome performance opportunities for students and faculty alike. Small Press Expo (SPX) is a registered 501(c) 3 that is the premiere independent comics festival in the United States. Over 600 creators and 4000 attendees come to its yearly show to celebrate the indie comic’s form. 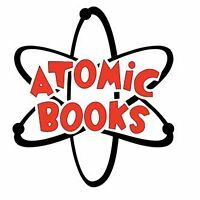 SPX uses its proceeds to support First Amendment rights by its contributions to the Comic Book Legal Defense Fund and its Graphic Novel Gift Program donates to local libraries to promote literacy by the use of graphic novels by all ages. SPX is also a partner of the Library of Congress as a sponsor of the National Book Festival, which allows it to bring indie comics creators onto the national stage. The Library of Congress also holds the SPX Collection, a first of its kind arrangement, which gathers the works of SPX creators to allow future generations to enjoy and research works of the indie comics field. The Center for Cartoon Studies (CCS) offers a two-year course of study that centers on the creation and dissemination of comics, graphic novels and other manifestations of the visual narrative. Experienced and internationally recognized cartoonists, writers, and designers teach classes. CCS programs include a two-year Master of Fine Arts Degree, One- and Two-Year Certificates in Cartooning, and annual summer workshops. The school is located in historic downtown village of White River Junction, Vermont. Brighton and Sussex Medical School is an equal partnership between the Universities of Sussex and Brighton together with NHS organizations throughout the South East region. The arrangements for the School’s governance reflect this approach and students are awarded joint BM BS degrees of both Universities. The School is fully committed to the principles of Tomorrow’s Doctors; we endorse the value of medical education in a multi-professional context, and promote the highest possible standards in our teaching, clinical practice, and research (both fundamental and applied). 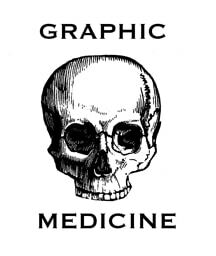 Brighton and Sussex Medical School is proud to have hosted the 2013 Graphic Medicine Conference. We are an independent bookstore full of objects made of paper, vinyl, plastic and various other actual materials at the edge of time. 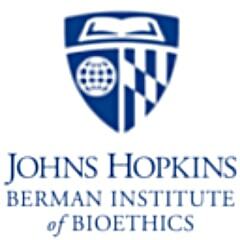 The mission of the Johns Hopkins Berman Institute of Bioethics is to conduct advanced scholarship on the ethics of clinical practice, biomedical science, and public health, both locally and globally, and to engage students, trainees, the public, and policy-makers in serious discourse about these issues. Graphic Medicine is a site that explores the interaction between the medium of comics and the discourse of healthcare. You’ll find a growing collection of comic reviews, articles, podcasts, links, and coverage of our international Comics and Medicine Conferences. We encourage participation by anyone involved with comics and medicine. More information on the conference is available on the conference home page.